This study, for the first time, has quantified the return on investment (ROI) of the water used for landscapes given the significant environmental, economic and social benefits our green spaces provide. It reports that Colorado landscapes use only 3% of available water consumed in Colorado. • Environmental: carbon sequestration, reduce air pollution, create oxygen, reduce heat island effect, improve water quality and provide wildlife habitat. • Societal: increase property values and reduce crime. • Public health: stress relief, fitness and child development. The study demonstrates that urban landscapes should not be the sole target of water utilities during drought or regarded as easily replacement or disposable. Eliminating landscape water by turning off the spigot or offering “cash for grass” rebates is a short-term fix that creates complex, long-term problems. A key takeaway from the study is that while any effort at drought management requires plans that save water, those plans should not threaten the viability of landscaped areas. Maintaining healthy landscapes does come at some cost, but the unintended consequences and costs of sacrificing landscapes during drought outweigh the benefits. The CSU researchers concluded that when considering the ecological, economic and sociological benefits provided by landscaped areas, the use of a mere 3% of Colorado’s total water to maintain them is a legitimate allocation of water resources. We've all had the pleasant experience of walking barefoot in the yard and feeling how cool the grass is underfoot. That's not an illusion. Turfgrass plays an important part in controlling our climate. Grassed surfaces reduce temperature extremes by absorbing the sun's heat during the day and releasing it slowly in the evening, thus moderating temperature. Grass plants absorb some solar radiation to fuel the photosynthesis process. The irregular surface of lawn areas also scatters light and radiation, greatly reducing glare. Turf cools itself and its surroundings by the evapotranspiration process. Each grass blade acts as an evaporative cooler. An acre of turf on a summer day will lose about 2,400 gallons of water through evaporation and transpiration to the atmosphere. Roughly 50% of the sun's heat striking the turf may be eliminated through this transpirational cooling process. The cooling properties of turf are so effective that temperatures over turfed surfaces on a sunny summer day will be 10 - 14 degrees cooler than over concrete or asphalt. Or to put it another way, consider the fact that on a block of eight average homes, the front lawns have the cooling effect of 70 tons of air conditioning! Research studies revealed overall temperature of urban areas may be as much as 9 to 12°F (5 to 7 °C) warmer than that of nearby rural areas. Through the cooling process of transpiration, turfgrasses dissipate high levels of radiant heat in urban areas. We have less control over our plants during prolonged periods of rain or flooding, than during drought. Unless they are in moveable containers, there is little we can do except wait for the weather to change. Then it is time to take stock of how your garden held up. If your soil is waterlogged, chances are good your plants are showing signs of stress - or soon will be. The waterlogged and flooded soil has insufficient amounts of oxygen in it, for the plant roots to take up and release water or release excess carbon dioxide. Plants may paradoxically look like they are wilting, but it is not because of too little water, it is because they can no longer access the available water. This leads to root rot and death. While we may not be able to prevent flooding, we should at least be on the alert for signs our plants are struggling. Start by watching for these signals. • Roots turning dark, often with a rotting odor. Several factors determine how much damage is done to plants by flooding, including how long the soil is waterlogged, whether it is fresh or salt water, the time of year and the type and age of the plant. Flooding during warm weather is more damaging to plants because they are actively respiring and need more oxygen than during cold weather. A short-term period of soggy soil probably won't cause much damage. It is prolonged periods of flooded soil that cause problems. Although some plants, like willows, bald cypress, flag iris and other bog plants, can adapt to long periods of flood waters, most plants cannot; some can handle as little as a few days. August begins right in the middle of the “dog days of summer,” the hottest and most sultry time of the year. Ancient cultures believed that the excessive heat was caused by the alignment of Sirius, the Dog Star, with the sun during the summer. These are the days when everything seems languid and still – except mosquitoes, of course – and the sun threatens to bake lawns, gardens, and gardeners alike. There is plenty to do in the garden in August, although it is best done in the early morning or late evening when temperatures are more comfortable. Whether you’re in cooler climates making early preparations for autumn, or warmer ones enjoying the height of the garden's bounty, here are some suggestions for tasks around your yard and garden in August. • Prepare for fall grass seed planting by leveling low spots, removing weeds, and choosing your seed if it needs to be ordered in advance. • If there is plenty of rainfall, fertilize your lawn. 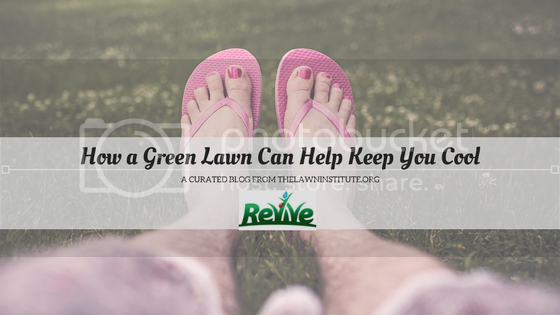 • To help your grass beat the heat and reduce lawn maintenance, keep your lawn mower blade on the highest setting. Don't worry if parts of your yard turn brown this time of year – it happens. • Spring and summer-flowering perennials can be divided and transplanted after blooming. In zones 5 and warmer: divide overgrown plants and discard the extra, or transplant during the coolest part of the day and preferably in the shade. • Trim and fertilize your containers – they still have time for another show. • Deal with late-season pests – such as aphids, whiteflies, and spider mites – with a spray of water from the hose. • Treat diseased plants, and remove diseased foliage before leaves drop. • Prune back vigorous climbers such as wisteria, and train them around trellises while the growth is soft. • Propagate plants by collecting seeds, taking cuttings, or layering. • Continue deadheading! For prolific bloomers like coreopsis and catmint, shear them lightly to encourage more blooms. • Label your plants with garden stakes, particularly perennials that die down to the ground in the fall. • In colder zones 1-3, begin moving your houseplants indoors to acclimate them. • Water, water, water! Early morning is the best time to water – target plants directly, and water deeply. Avoid getting leaves wet in the hot sun, and avoid soaking containers during the hottest part of the day – both of these can burn plants. • Keep close watch on your birdbath, water features, and hummingbird feeder – take steps to correct or avoid mold, stagnation, and mosquito larvae. • Continue weeding, to reduce competition for water and nutrients. • Beware of powdery mildew, which is caused by moisture and humidity. Help prevent mildew by watering in the cool of the morning, when roots can absorb water but excess will evaporate as the day warms. Also avoid overhead sprinkling in mildew-prone areas. Do not compost leaves that are mildewed. • When the temperature is over 85 degrees, avoid chemical applications such as fertilizer, fungicide, or insecticide. • Add compost and mulch to keep your garden cool and to prepare for fall planting.